The UrbanWire has *5x pairs of complimentary preview tickets to give away. 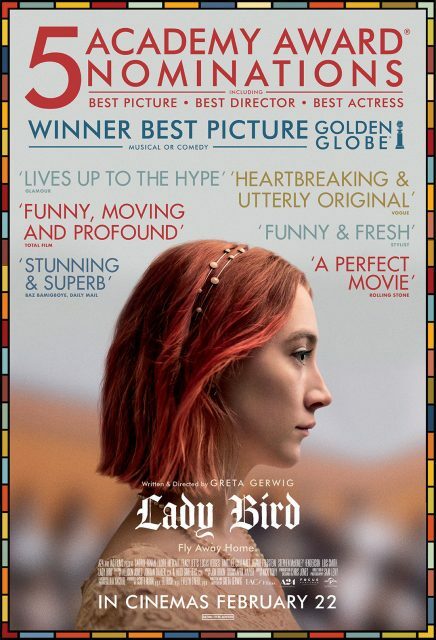 Stand a chance to win a pair of preview tickets to the award-winning film LADY BIRD, a funny and utterly original coming-of-age drama excavating both the humour and pathos in the turbulent bond between a mother and her teenage daughter. This contest will run from 13 Feb to 15 Feb.
Tickets collection will be at the redemption table (located at Shaw Lido level 5 lobby) from 6.00pm onwards on the day of the preview.